Hello everyone. 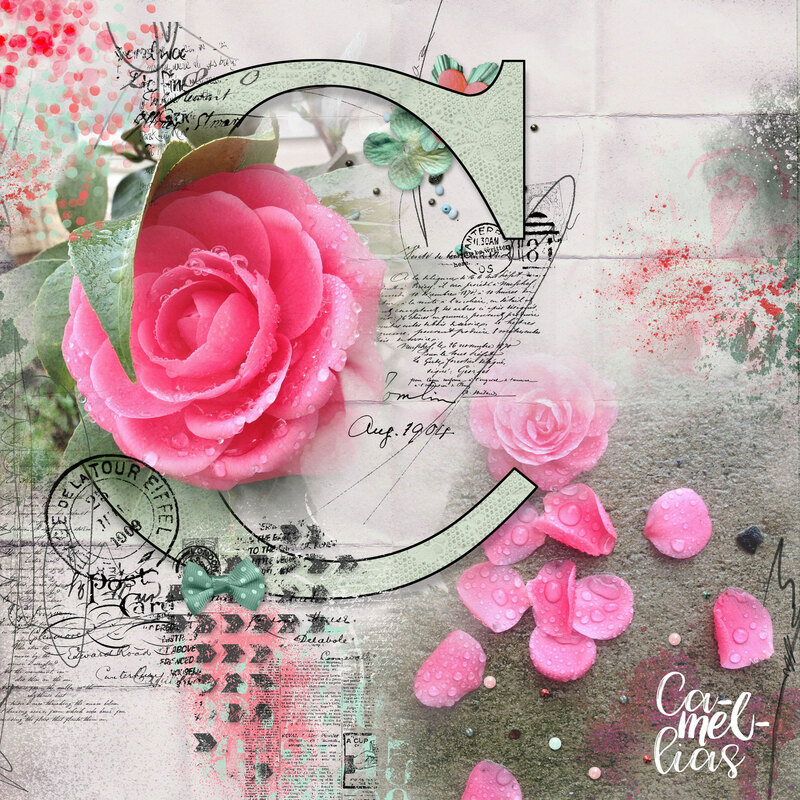 Danesa here to share some inspiration using Nicole’s newest Mini-O, artCRUSH No5 which is now available at Oscraps! She has given us some new ABC Templates and Transformed Frames that are so awesome. Also, she included some Artsy Loopilaloozas, plus the Magiclights, Blendingmasks and Out of the Box Frames which I always love. Nicole has made an unpacking video, on YouTube for us to preview these products and gives us great insights and tips while making a layout on the video and showing layout inspirations. 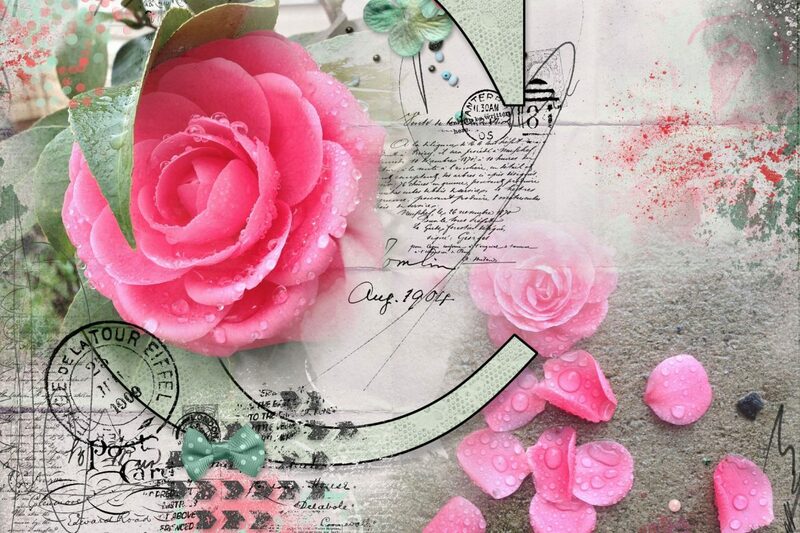 My layout uses the new ABC Templates where I highlighted my beautiful camellias that are rain soaked. You can see this and other layouts, using NBK-Design’s products in the Oscraps NBK-Design Gallery.